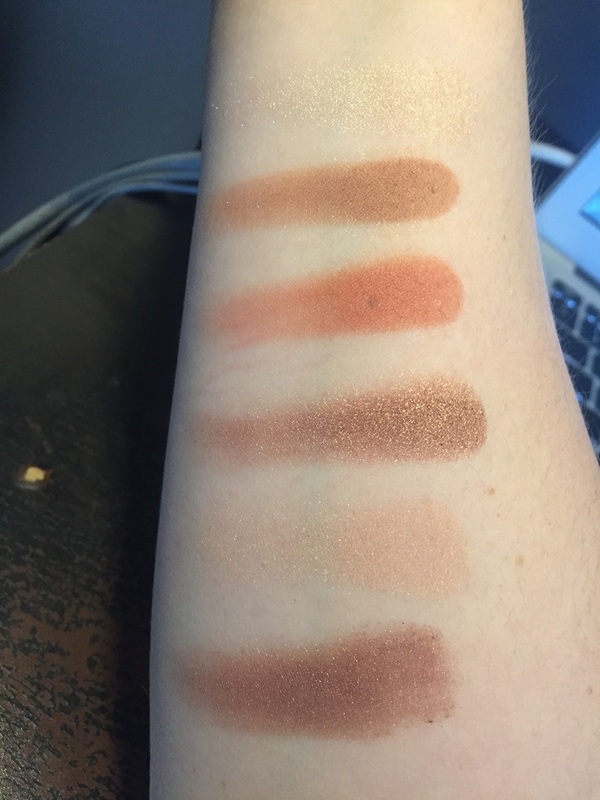 Calling all warm neutral eyeshadow lovers! Featuring six neutral shades that range from matte to metallic, it's a very warm toned palette that makes it easy to achieve a shimmery, bronzy-toned eye with some pops of muted red and warm latte colored brown to bring in those autumnal shades into play. This palette has great pigmentation, although the lightest shimmery shade definitely needs primer and more attention to work with, it wears beautifully, and I love the color selection and even the brush that comes in the palette as well. It's actually useful! The metallic deep plummy, copper brown color in the lower right hand corner is basically everything, and perfect for an easy warm smokey eye, especially with the matte lighter brown as a transition color. It's my become my everyday workhorse for eye looks, especially as I'm already longing for pumpkin spice, sweater weather, and the spoopiest time of the year. From minimalistic natural to dramatic, there's a lot of looks to be had with this palette and right now it's the best palette I've seen drugstore wise for autumn. The other neat thing is the color selection can work to make all the different eye colors pop. I suspect the last shade on the bottom, the plummy one, will look killer on green eyes. For $10.99, I'd say this is an absolute steal and a must-have for autumn. And if warm isn't your thing, there are cooler toned palettes as well in the collection. What's your favorite products for fall?